I intend to use what I learn in class constructively and defensively; to help myself and my fellow human beings and never be abusive or offensive. Master Cargin Moss became runner up in the ‘Unsung Hero Award’ in 2001, for going above and beyond the call of duty in helping the community with these very life skills. 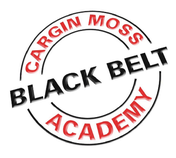 At The Cargin Moss Black Belt martial arts Academy we teach a solid philosophy of self control, discipline and respect. 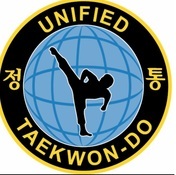 Master Cargin Moss holds a 8th degree Black Belt in Tae kwon-do, which was awarded by the world body of the I.T.F (International Tae kwon-do Federation) he was promoted his 5th and 6th Degree by the founder and Grand Master General Choi Hong Hi 9th Degree. Master Moss has trained with and assisted the General in teaching on many occasions, receiving his International teaching certificate at that time. Master Moss also instructs in Karate, Kickboxing, Boxing and Weapons. Master Moss has been involved in the martial arts since 1979 and is based permenantly in Northampton. Competing nationally himself, and producing some national champions Cargin has taken others beyond their own expectations. Over the years we have served the Northampton community in a wide array, with our time, effort and financially, including demonstrations, fund raising, sponsorships and giving. 01604 722 227 or complete our brief contact form. We would be pleased to hear from parents of potential students and welcome you to visit our academy to see what it's all about for yourself. We even offer a FREE TRIAL program so that you can gain experience of our classes and be happy with what we offer before spending any money.